Founder of Pulse (YC W17) — Revolutionizing patient care in India while making doctors’ lives better. Studied Computer Science at Brown University. I tried my hand at MVI after watching this talk by Jake Wharton. MVI is a nice upgrade to a lot of my existing MVVM code. Hey everyone! 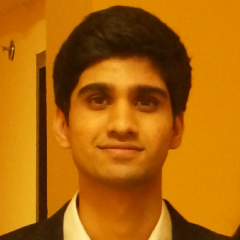 My name is Krishna Aluru, I’m the CTO and Co-Founder of DocTalk.